Size: 4.07 x 3.01 mt. 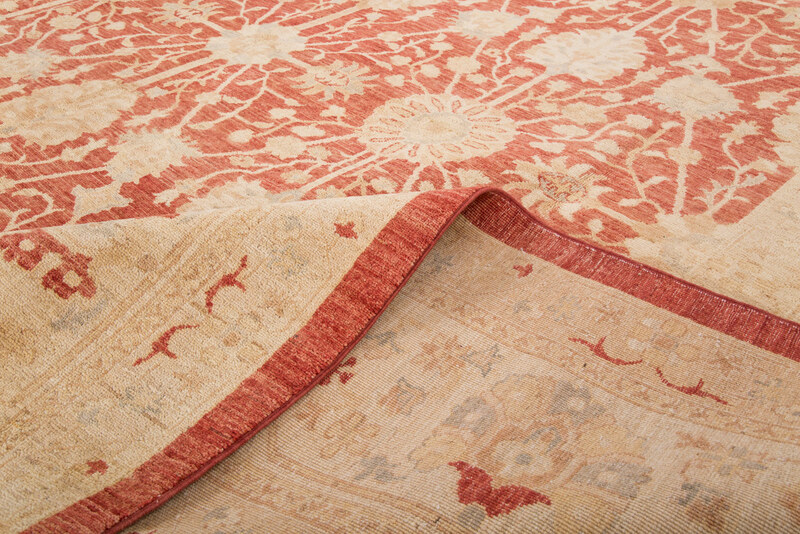 These elegant rugs originally came from the small town of Ushak in Turkey. Ushak has been a center of rug production since the 15th century and today these beautiful area rugs are produced in Pakistan as well. 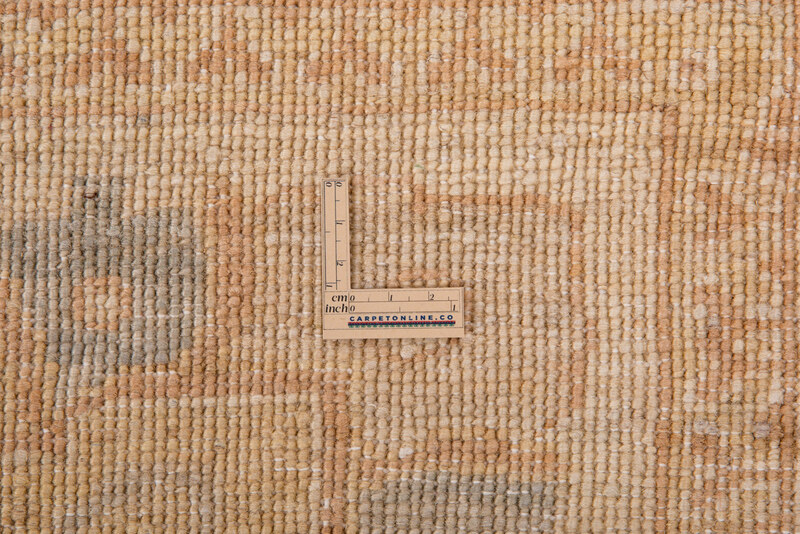 Ushak carpets mostly woven on a cotton foundation with a wool pile, and are distinctive in both pattern and color palette. The designs of Ushak rugs usually feature a geometric motive of smaller all over medallions or scattered sprays of vine scroll and palmettes. 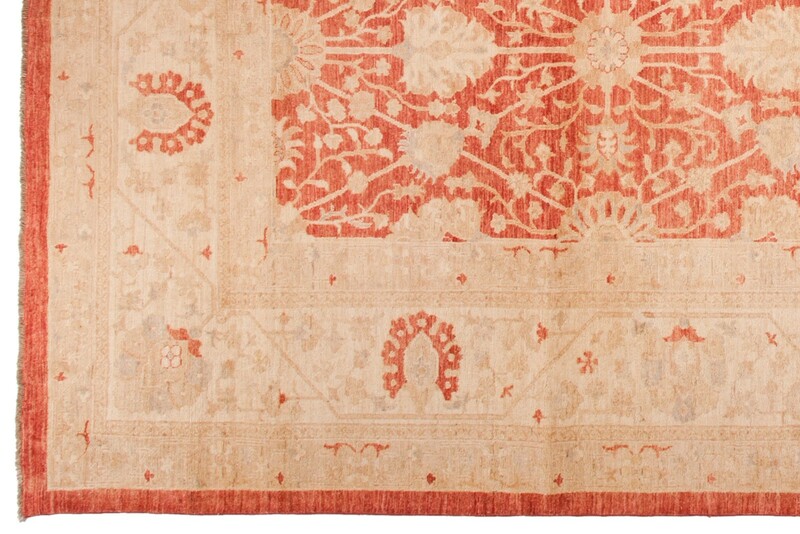 To this day Ushaks remain one of the most elegant decorative carpets for their warm coloration and lustrous wool which balance the strength of their traditional design. 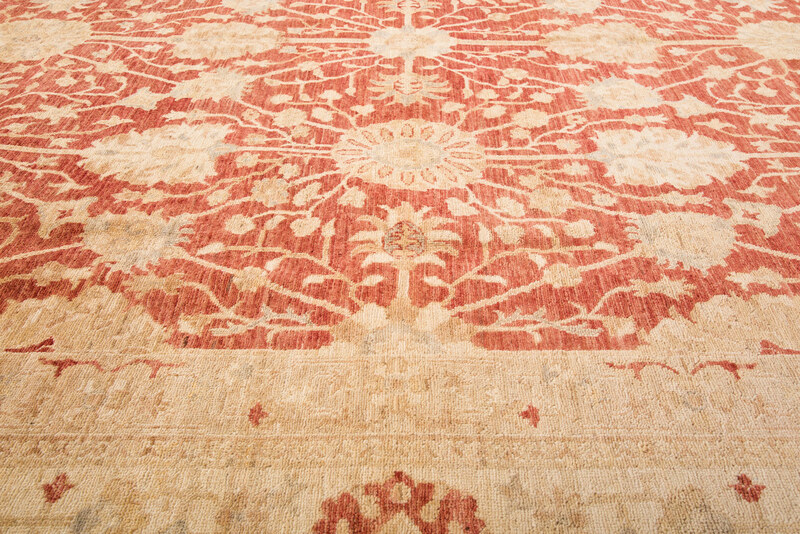 These magnificent rugs are highly decorative and a unique piece of world art that will enhance your living. 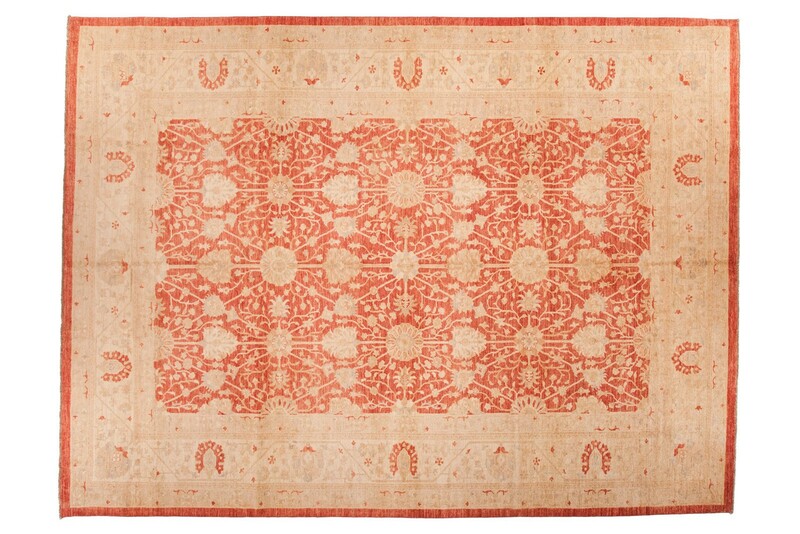 These elegant rugs originally came from the small town of Ushak in Turkey. Ushak has been a center o.. Almost from the beginning of the Ottoman Empire, Ushak has been a major production center of Turkish..